Women we love when they were in their 30s. 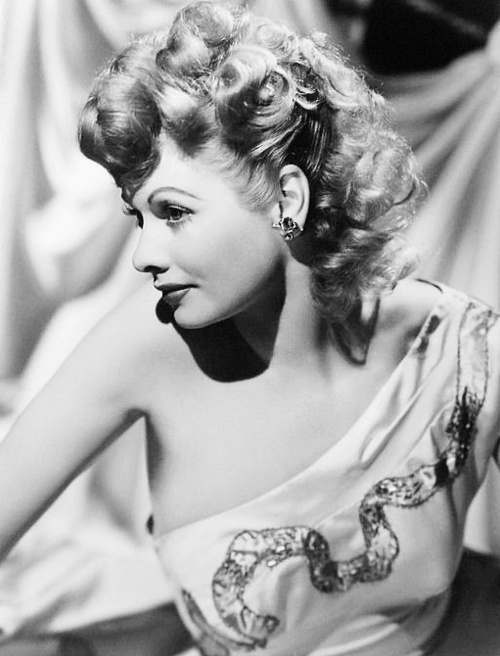 This week I am featuring Lucille Ball. This series is about iconic women and the life they lead. 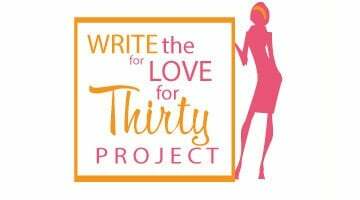 When we take a look as our lives in our 30s, many of us think that it is too late to start a new career, or do something that we have always wanted to. That we missed the boat if we didn’t get it done in our 20s. Well that is not the case at all, and this week, I checked out what Lucy was doing in her 30s, and her career as we know it did not even begin until her late 30s. 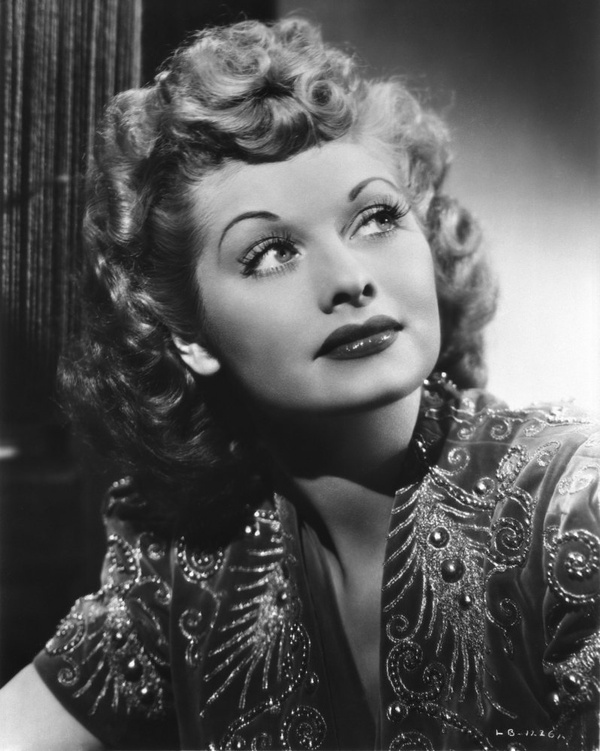 Lucy got fired a lot, and was told she wouldn’t make it, but she never let anyone tell her she couldn’t do it. Lucy made herself a millionaire with her talent and smart decisions and is an icon that we all know and love to this day. Here is a small bio of Lucy and the main focus is what she was doing in her 30s. 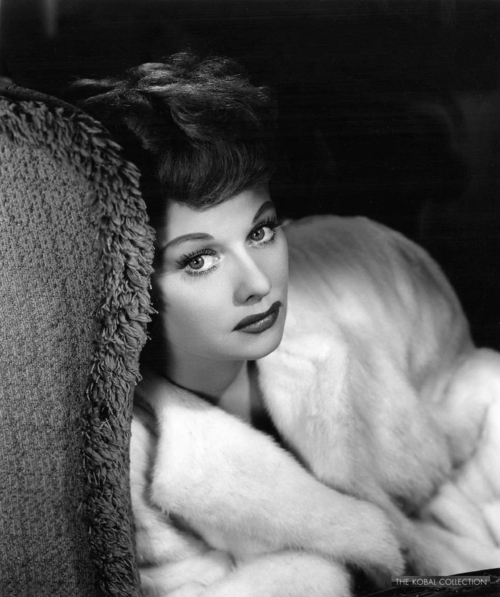 Lucille Desiree Ball was born in Jamestown, New York, on August 6, 1911. Irish, Scottish, French, and English descent. Lucy’s mother used Lucy’s desire to be enrolled into drama school (School for the Dramatic Arts in NYC) when she was 15-years-old to get her away from a boyfriend that was seven years her senior. After Lucy graduated she became a fashion model for Hattie Carnegie. Her career was thriving until she became ill with rheumatoid arthritis and had to take two years off to learn how to walk again. Lucy went back to NYC and started working as a model again and also became a Chesterfield cigarette girl. She then tried to work on broadway and on chorus lines but she kept getting fired time and time again. 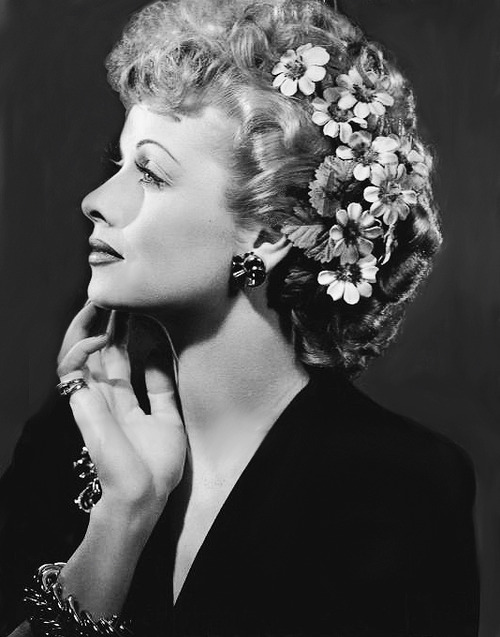 In 1933, when Lucy was 22-years-old, she decided to move to Hollywood and appear in films. She appeared in many small movie rolls and all throughout her 20s and early 30s, she was known as the “Queen of the B’s” because she was known for appearing in many B movies. 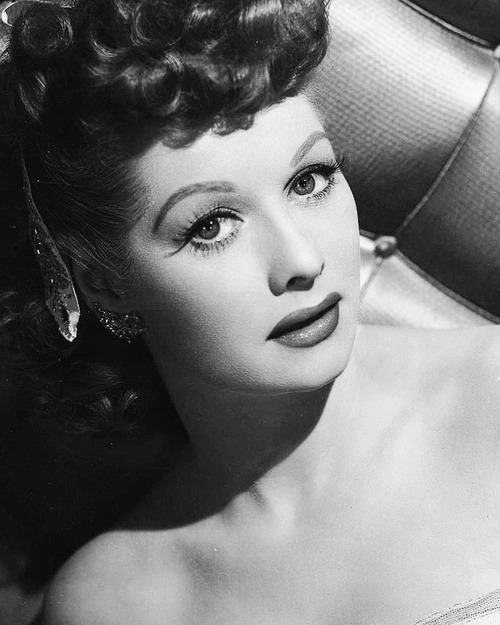 In 1942, when Lucy was 31-years-old she was cast in the film “The Big Street” and the following year Ball appeared in “DuBarry Was a Lady” where she was asked to dye her brunette hair a flaming red color and she never went back. 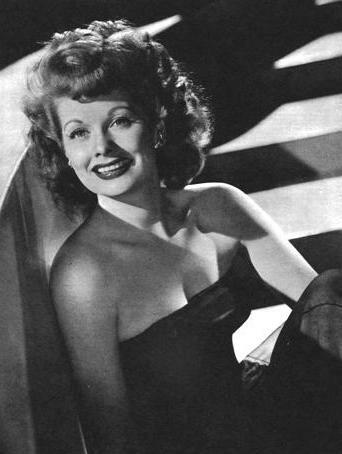 Lucy gained the reputation for doing physical comedy and stunts that most other actresses avoided, keeping her steadily employed throughout 30s. MGM took notice of Lucy and bought out her contract and put her in a few films. 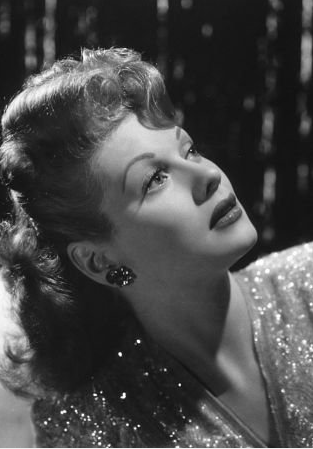 Lucy’s physical comedy got her the name “That Crazy Red Head.” MGM tried to put Lucy in an array of films, but none highlighted her talent and MGM decided to let her go in 1946 when Lucy was 35-years-old. Lucy decided to explore other avenues and got into radio where she was hired by CBS in 1948 when Lucy was 37-years-old to do a radio show called “My Favorite Husband.” In 1950 when Lucy was 39-years-old CBS wanted to turn her radio show into a television show. 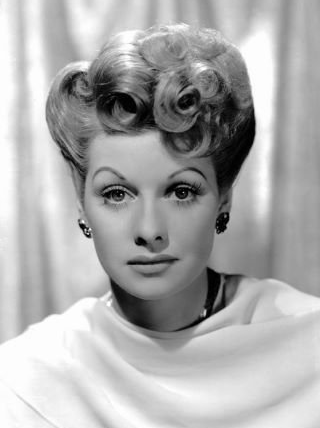 Lucy insisted that her real-life husband Desi played her television husband. CBS was reluctant because Desi was Cuban and audiences would not be able to accept him. Lucy and Desi decided to start their own production company; Desilu Productions, and take their show on the road. The show proved to be a hit and CBS decided to buy it and put it on the air. 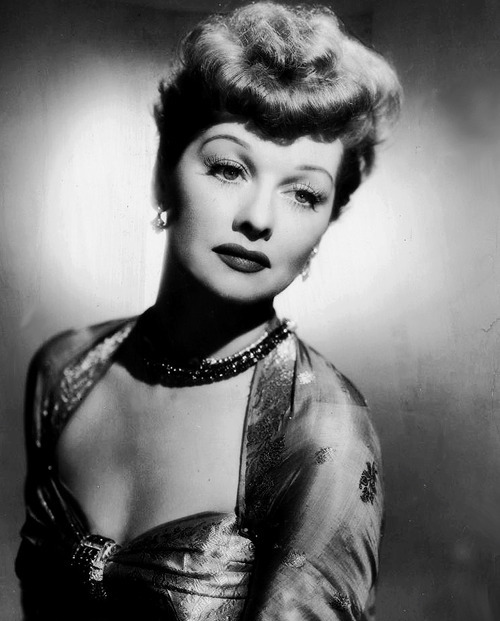 The rest is history when they started production on “I Love Lucy” in the summer of 1951 when Lucy was 39-years-old. 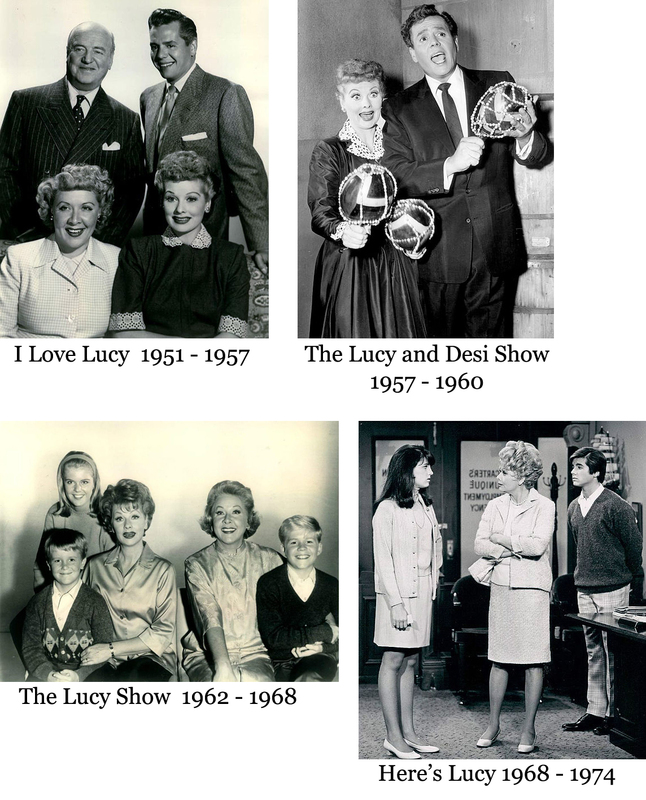 From that date, the picture below shows all the television series that Lucy starred in. 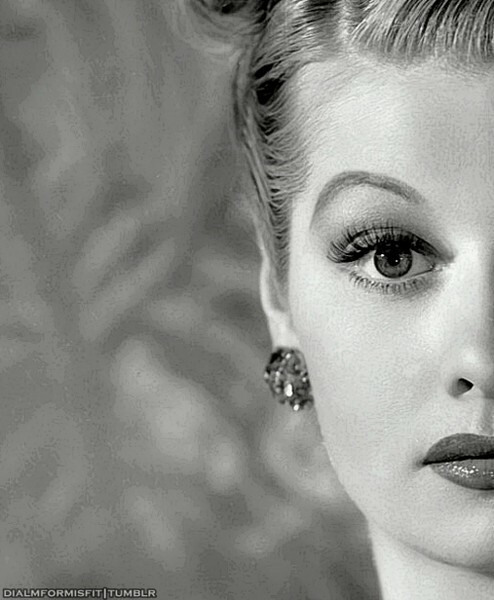 Desilu productions purchased all the “I Love Lucy” shows from CBS at a very inexpensive cost because Desi knew the potential of syndication. In 1960 Desilu sold back all pre-1960 shows to CBS, and that step proved to be a huge financial gain decision. Desilu owned all the shows from 1960 beyond. That same year, Desi stepped down as president and Lucy bought out all of his shares. This made her the first woman to head a major studio, and one of the most powerful women in Hollywood at the time. In 1967, Lucy decided to sell her studio to Gulf+Western for 17 million dollars. 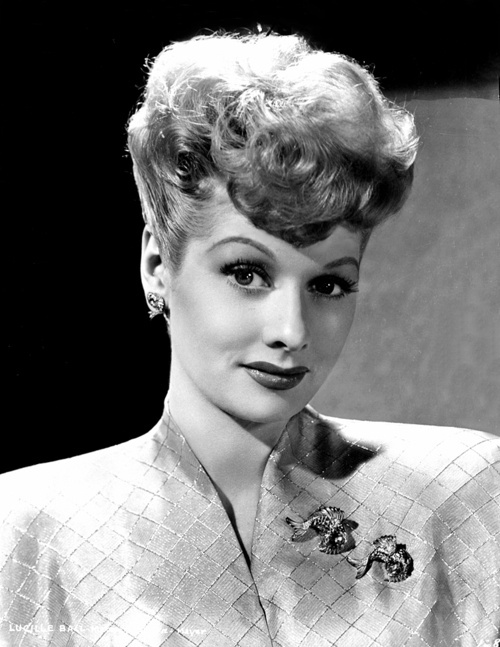 The next year, Lucy started another company named, Lucille Ball Productions (LBP). The company went to work on her new series “Here’s Lucy” that year. The program ran until 1974. The day she first met Desi Arnaz, she had a black eye and a torn dress from filming a fight scene for Dance, Girl, Dance (1940) and he didn’t find her at all attractive until they met again later in the day when she had changed into her own clothes and makeup. His oft-quoted first impression of her extraordinary beauty was “That’s a hunk o’ woman”. When they were first married in 1940, Desi Arnaz had to give Lucy a ring from a drugstore because all jewelry stores were closed. She wore it for the rest of their marriage. Lucy and Desi Arnaz were married a second time in 1946 in a church because his mother believed that the reason they didn’t have children yet was because they were never married in the Catholic Church. 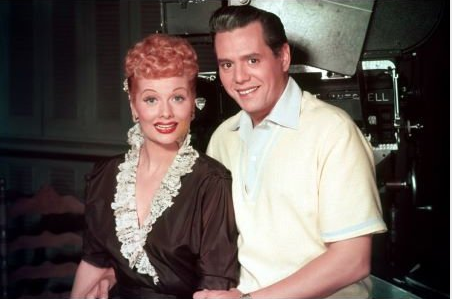 Lucy suffered three miscarriages with husband Desi Arnaz. First one was in 1942, second was in 1949 and third was 1950. For many years during their marriage, Lucy and Desi Arnaz hid the fact that she was six years older than he by splitting the difference in their ages. She (born in 1911) said she was born in 1914 and he (born in 1917) also said he was born in 1914. Lucy and Desi Arnaz began “I Love Lucy” (1951) in the hopes of saving their crumbling marriage because they were never together. Desi was always on tour with his band and Lucy was filming movies. Lucy filed for a divorce from Desi Arnaz, the day following the last day of filming “The Lucy-Desi Comedy Hour” on March 3, 1960. 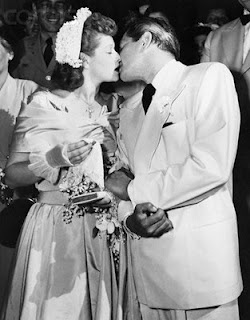 Lucy stated that Desi was the “Great love of her life,” but that she couldn’t take it anymore. Desi was known as a cheater and a big drinker. Was the first woman to own her own film studio. Lucy was born a brunette. 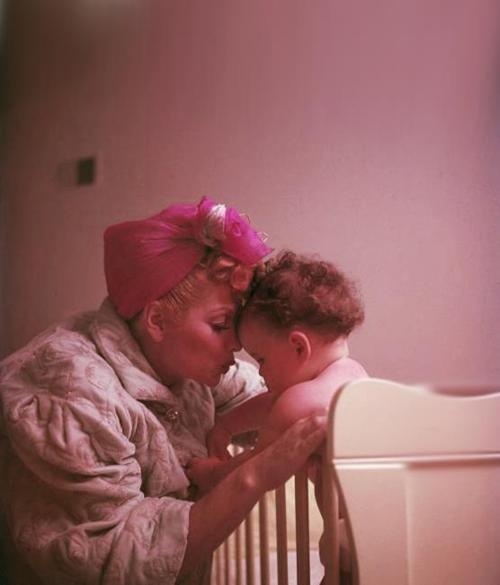 ‘I Love Lucy’ was the first show to feature a pregnant woman. During the 1933 filming of Roman Scandals, young Lucille Ball, portraying a slave girl, needed to have her eyebrows entirely shaved off. They never grew back. Before her movie career, Lucille was a model at Hattie Carnegie’s in New York. She mainly modeled heavy fur coats, because she was startlingly thin as a young lady. 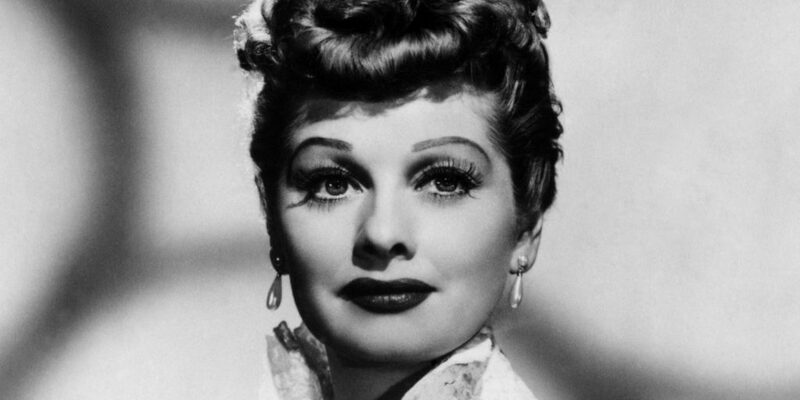 “I Love Lucy” was the first television show filmed in front of a live studio audience. “I Love Lucy” was the first television show to use three cameras at the same time to get all the action and capture different angles. Thanks for writing this! 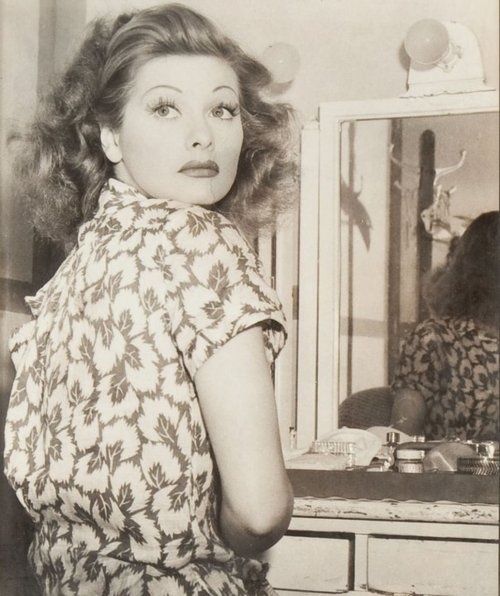 I absolutely adore Lucille Ball. Adore her!! Is it me or did she get more beautiful as she got older? Thanks Nichole. This took me a long time to write because there is so much info about this amazing lady that I never knew, and I thought I knew a lot! I can’t believe her pictures. When I was putting them up, I was just thinking how they all look the same and she did get more beautiful. Love the 30s! Another fantastic post Erin! I remember the episode where Lucy was trying to tell Ricky that she was pregnant, but never had the chance to and had to do so when Ricky was singing at the restaurant, she requested a lullabye and here’s ricky singing the lullabye pausing at various tables trying to see if it was that lady who was expecting. Every table but Lucy! It was a great episode and what an amazingly brilliant and smart lady! She was getting more beautiful as she grew older! 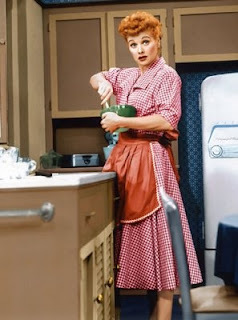 I’m from Mexico and I haven’t watched her shows yet but my parents remember “I Love Lucy” as part of their childhood. I love this so much! Thank you for writing this. I just turned 30 & I am a huge huge fan of Lucy’s. This is very inspiring! Thank you! Lucy is a role model for women who want to pursue their dreams against adversity. She mustered up all her grit and pressed on when doors slammed in her face. She experienced depression, was betrayed by the man she loved but Lucy kept plodding forward, dreaming with flexibility as her belt and “I can” as her sword.